The Cardiff Australian Football Club have signed 2018 BDAFL Senior Representative Coach Rowan Bilkey as Coaching Director for the upcoming 2019 season. Bilkey will lead the new CAFC coaching team which will also consist of multiple premiership captain Adam Clarke and current BDAFL team of the year and representative player Nick Tomlinson. 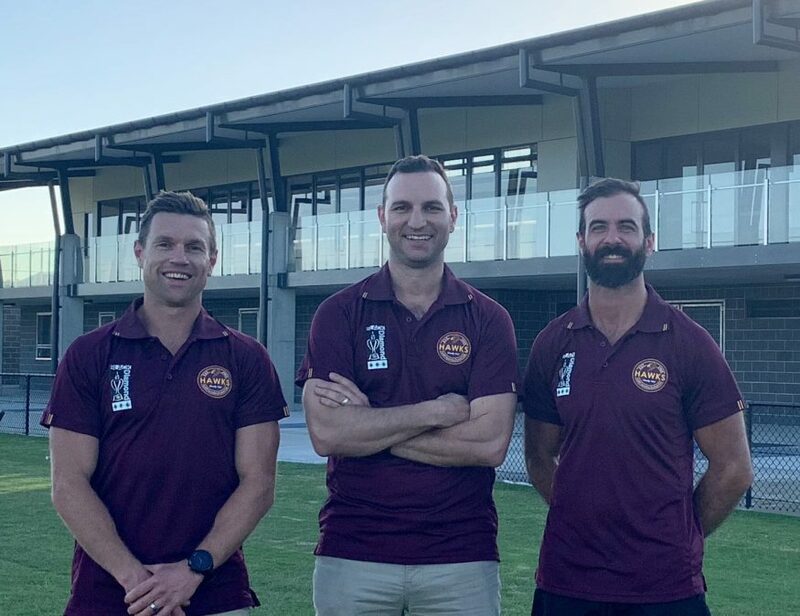 The signing of Bilkey, Clarke and Tomlinson as a coaching partnership represents a change to coaching structure from the 2018 season, where former coach, Nathan Harkness led the side to a Preliminary Final appearance, being defeated by eventual premiers, Newcastle City. Rowan Bilkey will be CAFC Coaching Director and will work closely with Clarke and Tomlinson to develop and implement the senior coaching plan. Bilkey coached the 2018 BDAFL Rep Team that featured four Hawks – Nick Tomlinson, Tom Yensch, Jack Lennon and Marcus DeLeur. Bilkey, his wife and four boys recently relocated to Newcastle. Bilkey is excited to be involved with Cardiff after finishing a distinguished playing career with Sydney’s East Coast Eagles in 2016. Adam Clarke captained three premierships with CAFC from 2004 to 2006, also claiming three Club Best & Fairest’s during his distinguished playing career. Clarke has extensive experience in fitness, nutrition and leadership, and all eyes will be on early season selections to see if Clarke will undertake an on field role with the club. Nick Tomlinson joined the Hawks as a player in 2017 after relocating from Brisbane. 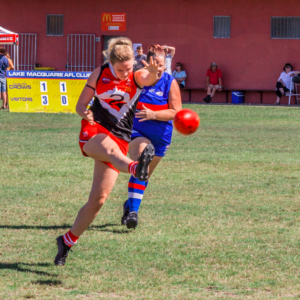 Tomlinson has been a valued senior leader of the club over the past two seasons, sharing his knowledge gained over his impressive career in Queensland for the highly successful QAFL Club (and former NEAFL club), Morningside Panthers. 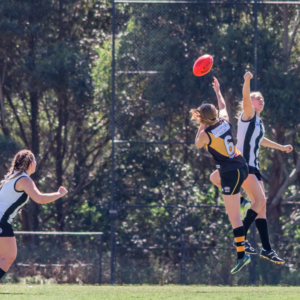 Together Bilkey, Clarke and Tomlinson will use their complementary strengths to lead the playing group through pre-season and into Season 2019. 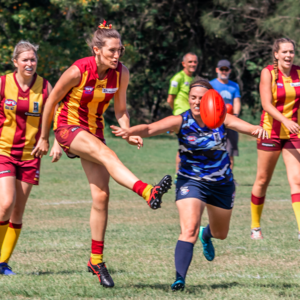 The club has also re-appointed Paul Cooksley as the Senior Womens Coach for 2019. Cooksley made tremendous improvements with the ladies in 2018 and believes the potential of the group is extremely exciting heading into 2019. The Club will start pre-season training the week starting 12th November.